Designed for the Total Swimmer, the Sonar is the complete package, the crème de la crème of wetsuits. The most versatile suit in our range, most of the triathlete community will find it fits their budget and technical requirements. Ideal for swimmers looking for the perfect balance between flexibility and buoyancy, this wetsuit has both right where you need them: Buoyancy in the lower body and flexibility up top. Designed for the Natural Swimmer. Orca's new Equip Wetsuit offers maximum flexibility without changing your position. With Yamamoto 39 technology and the most stretchable lining on the market, with just the right amount of buoyancy has been provided for this type of swimmer without raising the lower body so much that you kick out of the water. The Aqua Sphere Phantom features an adjustable fit, delivering power and comfort through its proprietary Core Power System. Paired with its unique Bio-Stretch Zone, this suit is gives you unparalleled performance. Limited Time Offer: Free 2XU Race Belt when you purchase this wetsuit. A advanced wetsuit with top performance features, the 2XU P:2 Propel Wetsuit features exceptionally buoyant 39 Cell neoprene and a rollbar for improved body positioning. The SCS (Super Composite Skin) repels water and makes for faster swim times while seamless shoulder and arm panels and a stretch lining significantly enhance freedom of movement for an unrestricted swim stroke. A rear zip, unzipping from top to bottom, makes for easy and quick removal. This suit is designed for both swimming and running so no kit changes are required. The suit combines a great fitting swim wetsuit but with high stretch leg panels for running & a front zip for lung expansion and breathability on the run. The wetsuit is full of innovative features and this has been recognized for the ‘Game Changer of the Year’ award held by 220Triathlon magazine. 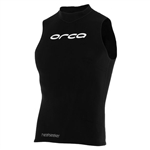 Comes with 8mm thickness calf sleeves for significant buoyancy support on the swim. The Reaction has been improved with a more flexible upper body and new, flexible lower leg panels for quicker suit removal and comfort. Sharing many features with the flagship Helix Wetsuit, the Reaction continues to be one of the best values in triathlon. The Aspire is one of the highest rated wetsuits of the last decade winning a wide range of industry awards. It is made with 100% Yamamoto materials for maximum comfort and performance. The unique design makes it fast, smooth and allows a natural feeling swim.